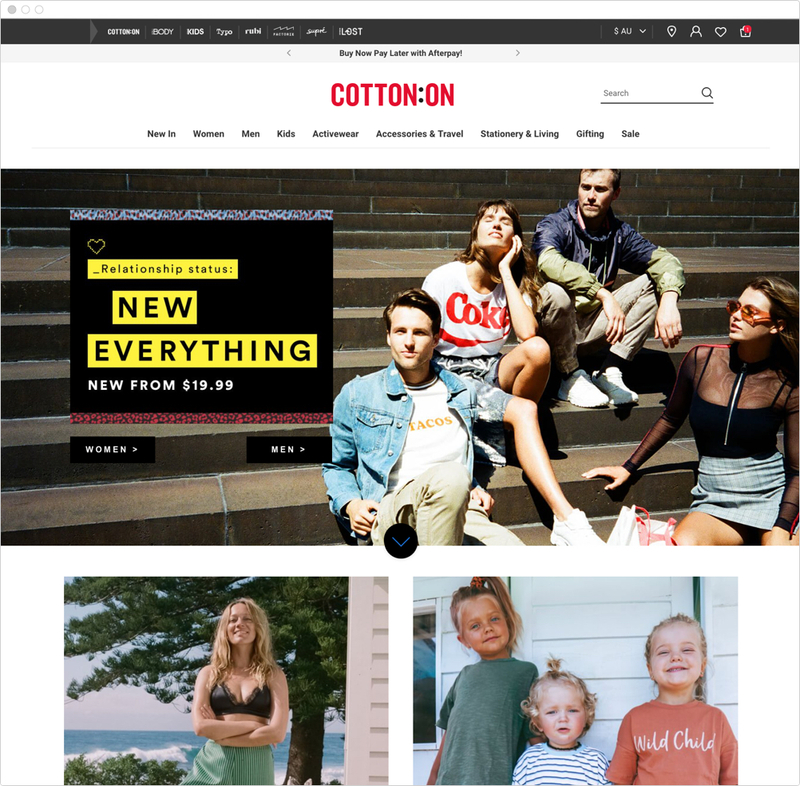 Cotton On enriches their customer experience and grows on a global scale in partnership with Tryzens. 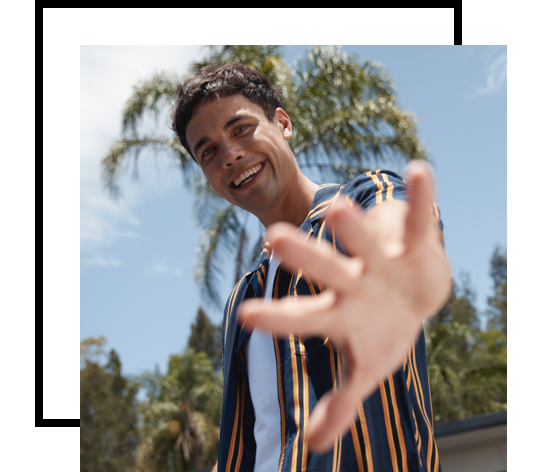 Cotton On Group founder Nigel Austin started Cotton On in 1991 after a trip to the Beckley Market in Geelong armed with a pile of acid wash denim jackets. Customers loved the jackets, but Nigel left without making a sale. The next week he had an epiphany; he returned to the market, lowered the price, and the jackets sold out instantly. Since that day, Cotton On Group has grown to become a global powerhouse with over 1400 stores in 19 countries. 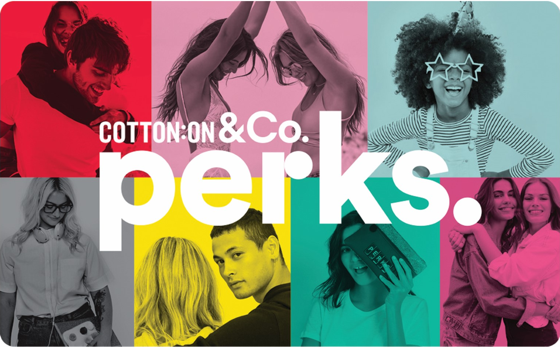 Cotton On group were looking for a partner that could monitor, maintain and enhance their digital offering across 8 brands in 7 regions and grow with them while offering industry leading expertise and high implementation standards that would aid them to reach their aspirations to become a global lifestyle leader. Supporting the internal Cotton On team for the delivery of the new CottonOn&Co global eCommerce storefronts, which brought together seven brands in keeping with Cotton On’s new megastore experience, the Tryzens team proved themselves to be an indispensable partner that delivers what they promise, on time and on budget. 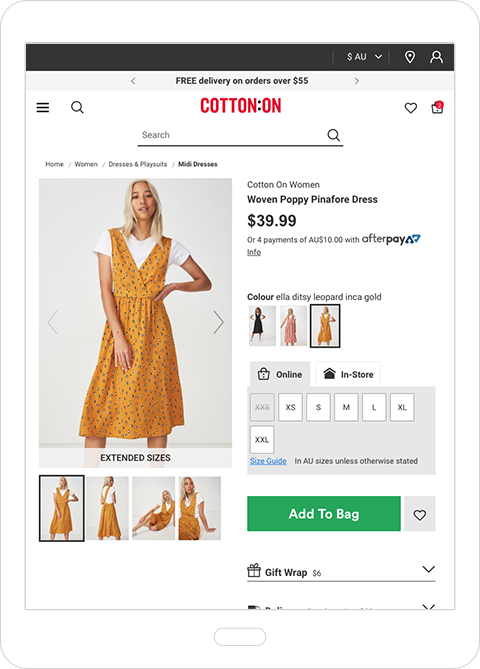 The team selected to work alongside Cotton On have excellent technical and operational knowledge of the ecommerce platform, which means that they can work seamlessly with the Cotton On team to deliver features as part of an overall roadmap, improving time to market for the benefit to customers. Combined with this expertise, Tryzens’ proprietary analytics platform, TradeState provides the Cotton On team with live monitoring and trade reports that are accessible via mobile devices to keep the team on the pulse of site performance and access insights as to how the sites are operating, for each brand, market and timezone. 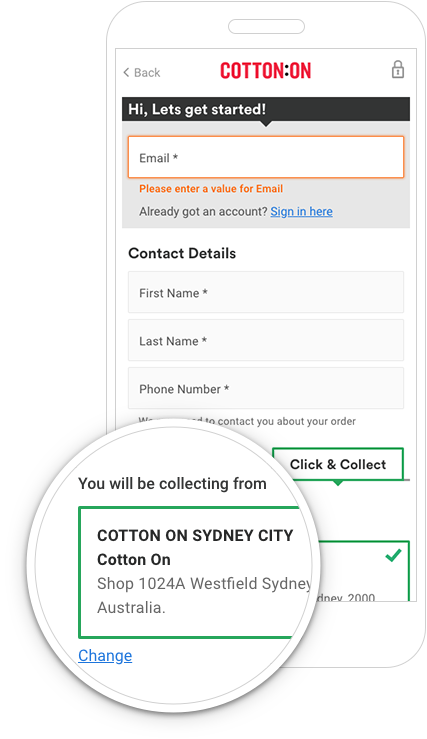 This technology enables the Cotton On to be proactive in identifying changes that will promote more profitable trade and customer experience. An entire rebuild of all of our sites worldwide using a more scalable and flexible architecture to improve usability and ongoing efficiency for delivering new features. 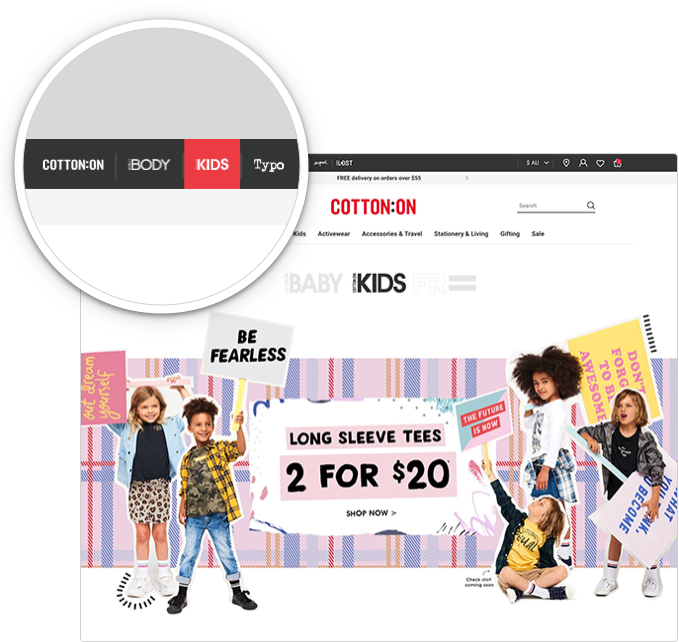 Cotton On’s global rewards system spans across seven brands and rewards customers, no matter what channel they choose to shop on. It was crucial to have a reliable and solid online base for this offering with a worldwide audience to consider from a both functionality and UX standpoint. 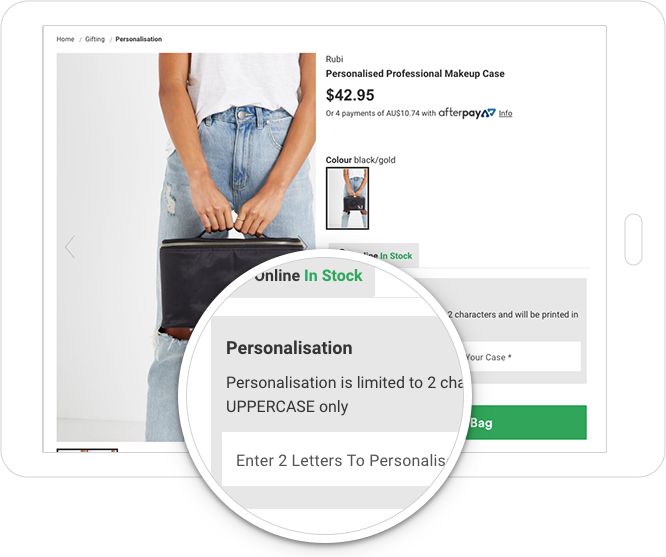 Product personalisation has been introduced across several brands and almost 100 products which was rolled out quickly to meet rising customer demand and some products have proven to be so popular, that they have sold out within hours of launch. Click and collect was an essential implementation to allow customers the flexibility to collect their orders in-store and also allow staff an extra opportunity to interact with customers. Since implementation, feedback has been overwhelmingly positive.